Six 'strange but true' divorce factoids (pace Steve Wright in the afternoon). The classic divorce oddity honestly is the fight over ‘who gets to keep the dog?’. This is argued about in all seriousness more often than you think. At my previous firm one of the partners had a case where the parties had settled their multi-million pound finances but were threatening to litigate over the dog. The wife in that case was relocating to France - and kidnapped the dog to take with her. The solicitors for the husband were on the phone constantly asking about the dog - but the partner whose case it was decided to go home sick (so she couldn’t answer the phone) to give her client time to flee the country. Bizarre but true. Lawyers often forget that they are dealing with real people and that people can be irrational. I did a case a couple of years ago where the parties refused to come to an agreement about their finances until they had sorted out the individual contents of their house. They had enough money to replace these contents many times over but neither would come to the negotiating table until literally every knife and fork in the house was accounted for. They spent more getting the lawyers to sort out this issue than they spent on the rest of their (considerable) assets and on the children issues, both of which unlocked themselves remarkably easily. Facebook is increasingly being referred to in divorce petitions. Social networking has been a godsend for divorce lawyers, and is probably responsible for the increase in divorce figures reported last year. Of course, people have always been unfaithful but social media has just made it so much easier to get in contact with old flames and the like. Unless you are very careful social media also makes it so much easier to get caught as well …. I have had more than one male client who has come to see me adamant that their wives have committed adultery and have appeared in pornographic magazines. When asked how they know this they have produced the magazines and tried to show them to me – insisting forcibly that the relevant body part on display is their wife’s. All very disturbing. I don’t know for certain if this is true or not but many divorce lawyers, myself included, have a theory that there are 2 types of marriage which are more likely to fail than any other. The first is the ‘Christmas marriage’ where the couple have their wedding very close to Christmas. The second is the marriage on a beach in a foreign clime. Both are examples of couples who are potentially selfish. Why take up your mates time over the Christmas period when they have better things to do? Or make them fly miles for some clichéd ceremony on a beach? It often seems that the wedding itself rather than the marriage is what is important here – and very soon many of these marriages seem to turn to disaster. Hiding the inheritance – I think this is much more common than is realised. 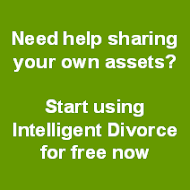 Inheritances are one of the resources taken into account on divorce. 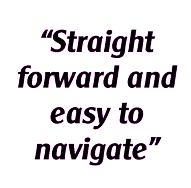 There are many who have an elderly relative who is about to die who will get that relative to change their will, leaving a planned inheritance to them to a brother or a sister instead. When the elderly relative dies the inheritance is not the divorcing person’s money and therefore not taken into account in their divorce. After the divorce the deceased’s will is changed (which can be done) and the money reverts to the intended beneficiary, neatly avoiding the clutches of the spouse.